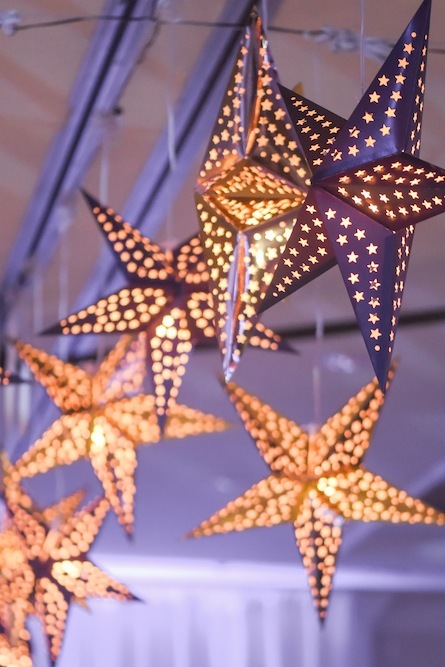 Chuck and Natasha’s love for one another was written in the stars. 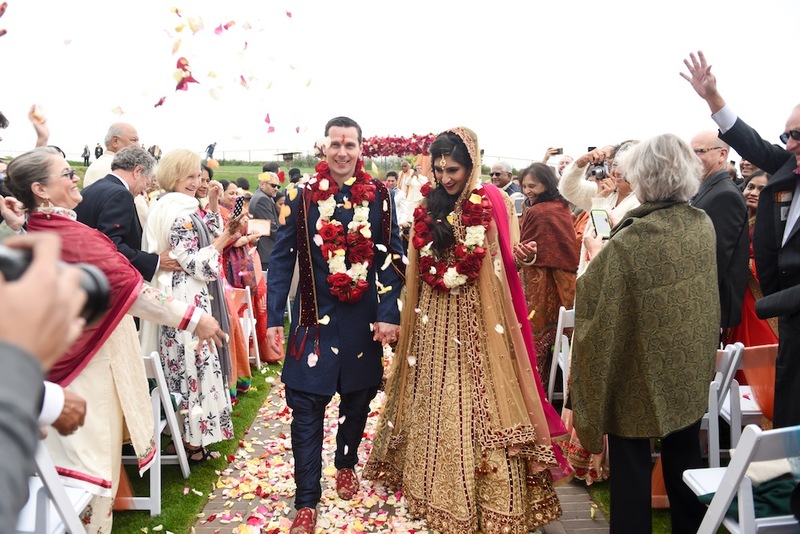 Though the two were from completely different parts of the US, they first met in college and decided to have their elaborate Starry Night Theme wedding in Natasha’s home state of California. 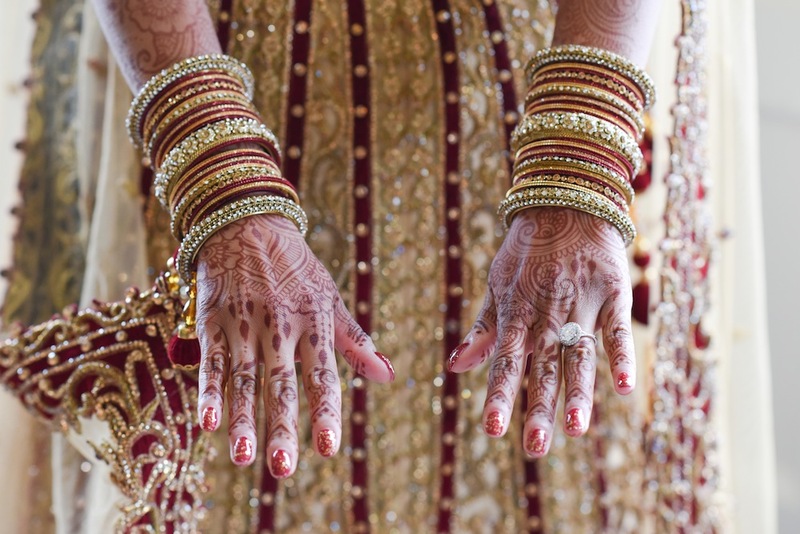 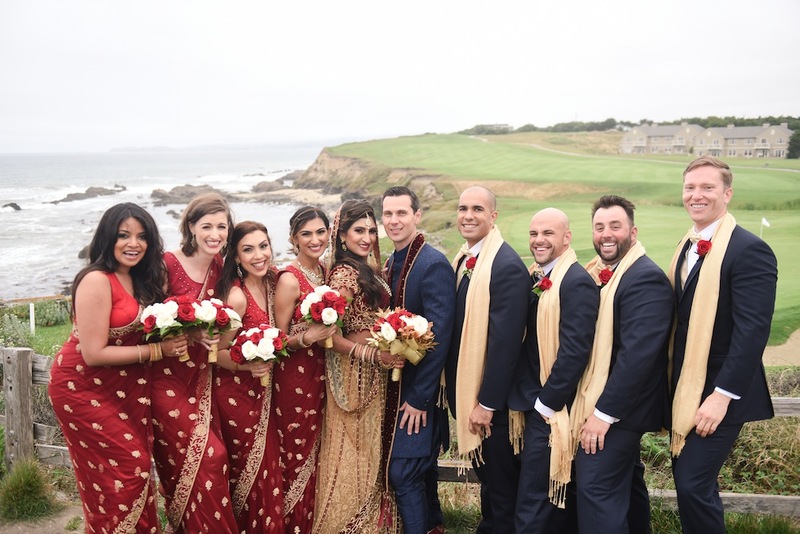 The couple wed on a gorgeous bluff overlooking the coast of the Pacific Ocean. 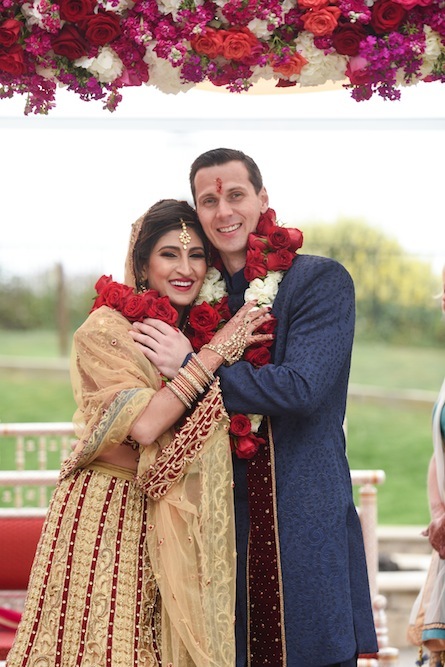 Groom, Chuck was welcomed with open arms to his bride Natasha’s culture by her loving family in a lively baarat complete with two dohl drummers and a beautiful white horse. 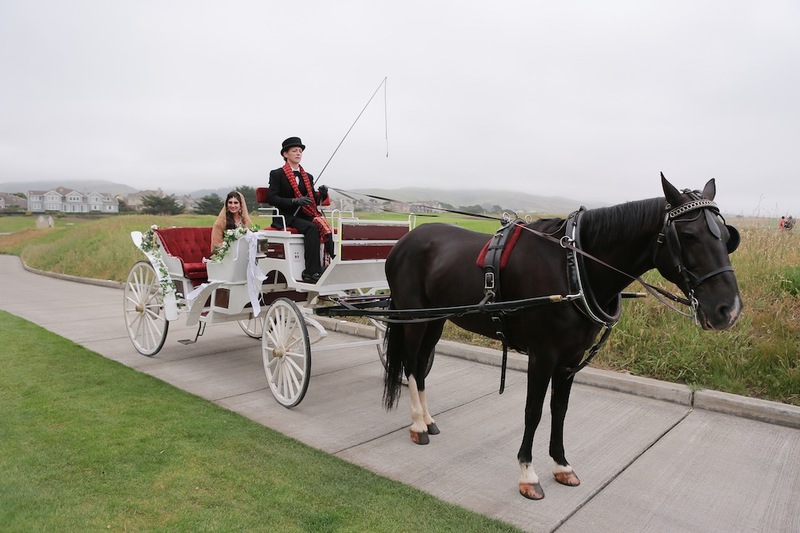 Natasha made her way to the ceremony by horse and carriage where her father met her at the end of the aisle. 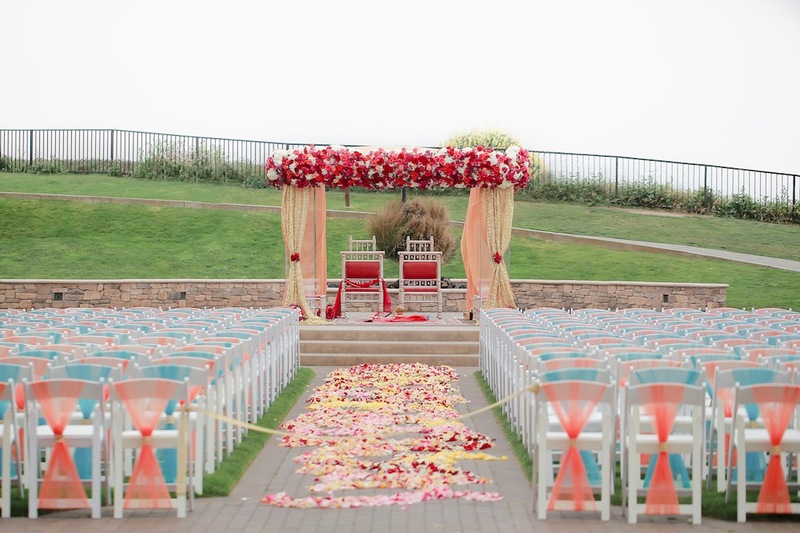 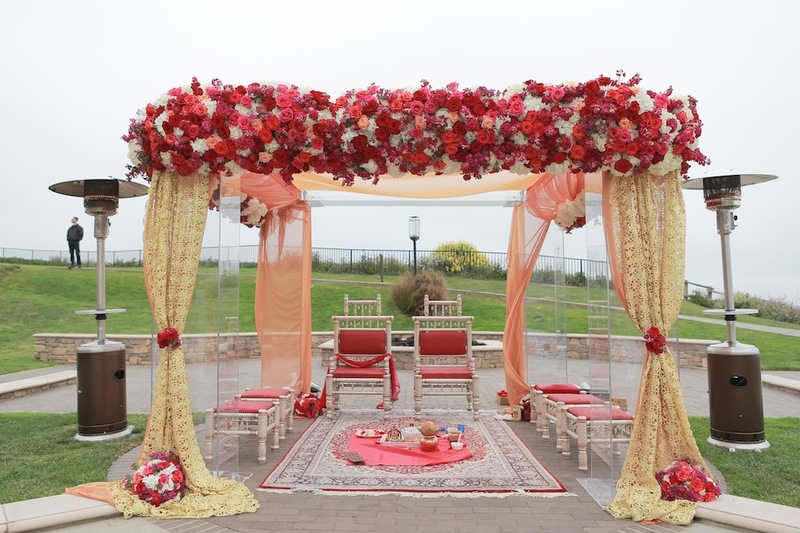 The ceremony was beautifully decorated with an aisle that had a stunning flower petal design treatment, chairs that had been hand wrapped with color tulle and a crystal band and the show stopping mandaap which had been draped with beautiful flowers. 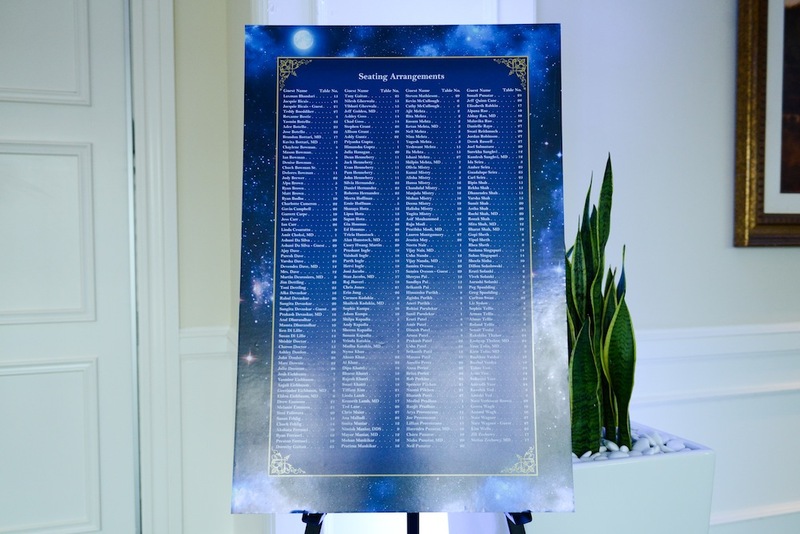 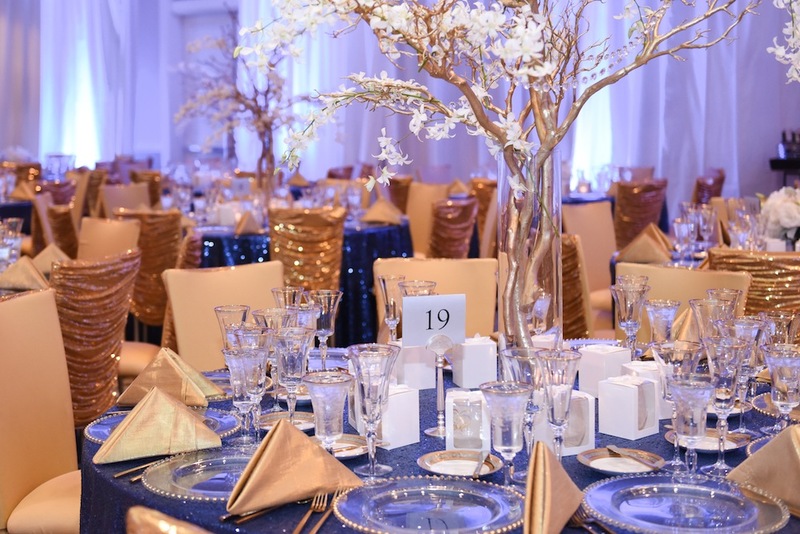 After the ceremony, guests enjoyed a lunch reception and then went to get ready for the main event – the Starry Night Themed Wedding Reception. 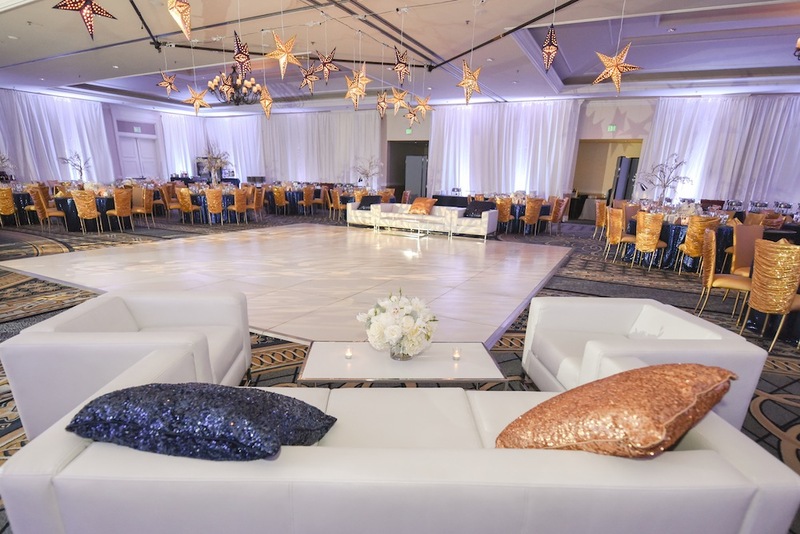 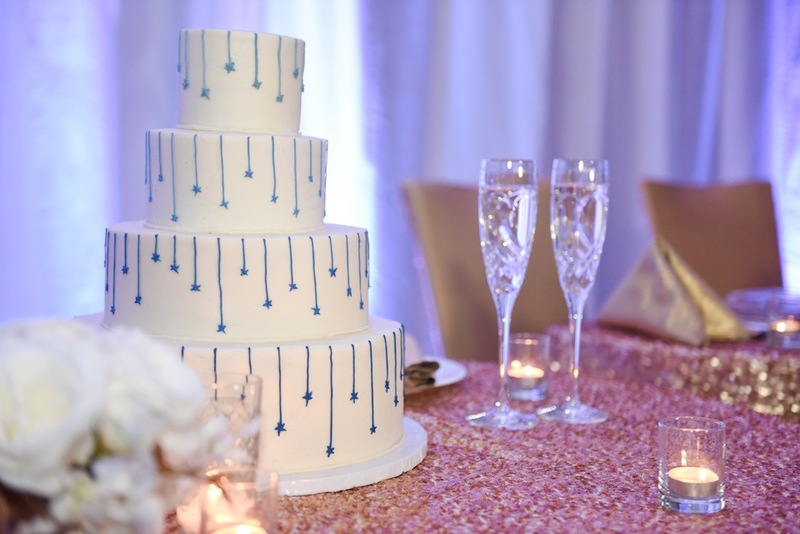 The ballroom of the Ritz Carlton was draped in soft white fabric and illuminated with a soft blue glow. 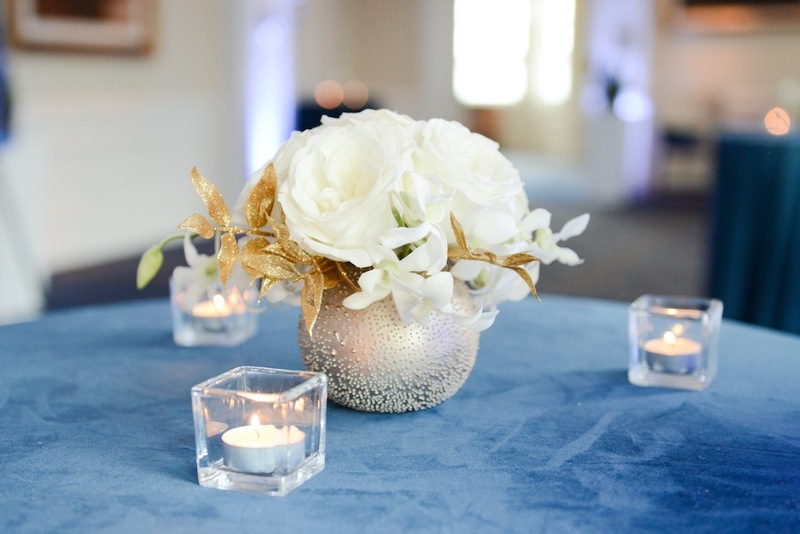 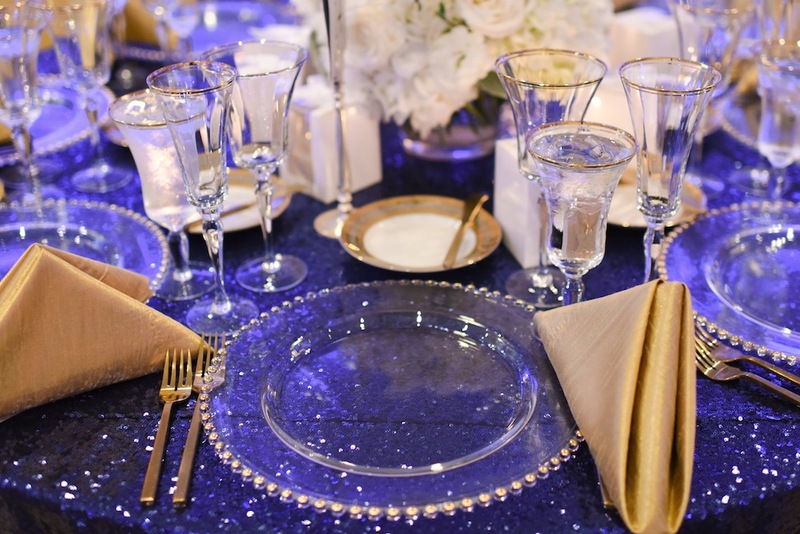 Tables were covered with beautiful lux linens in a mix of sequined blue and gold. 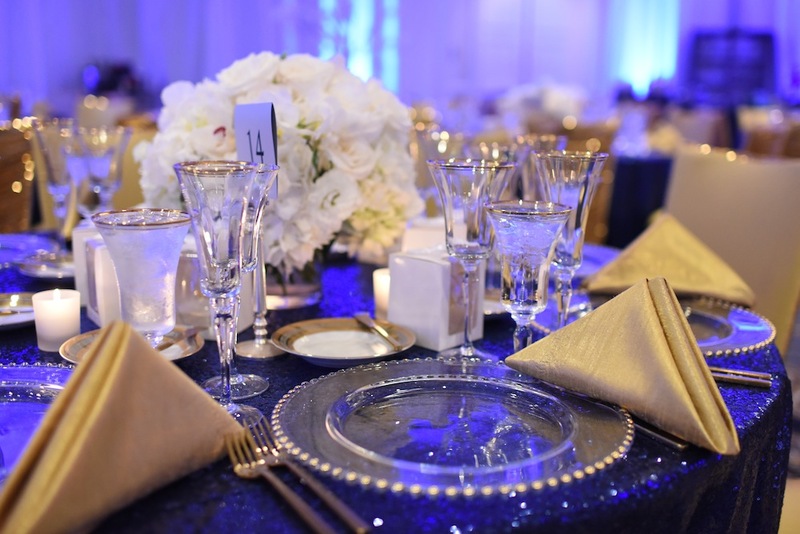 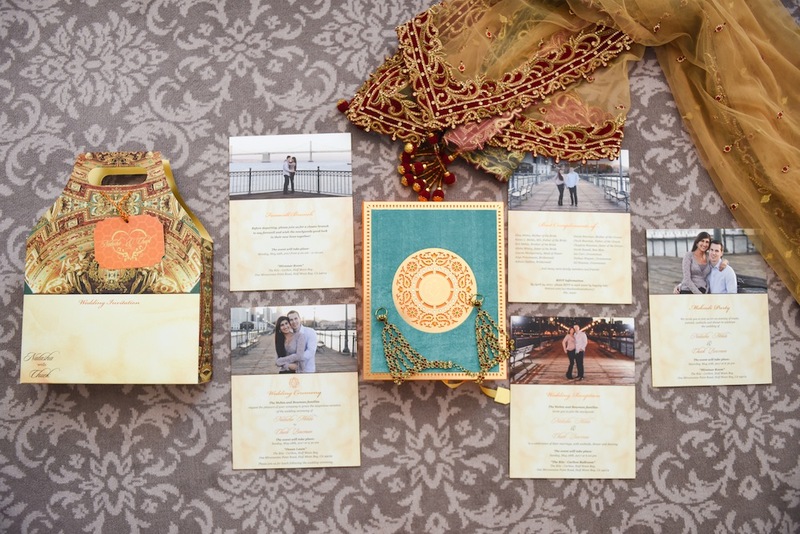 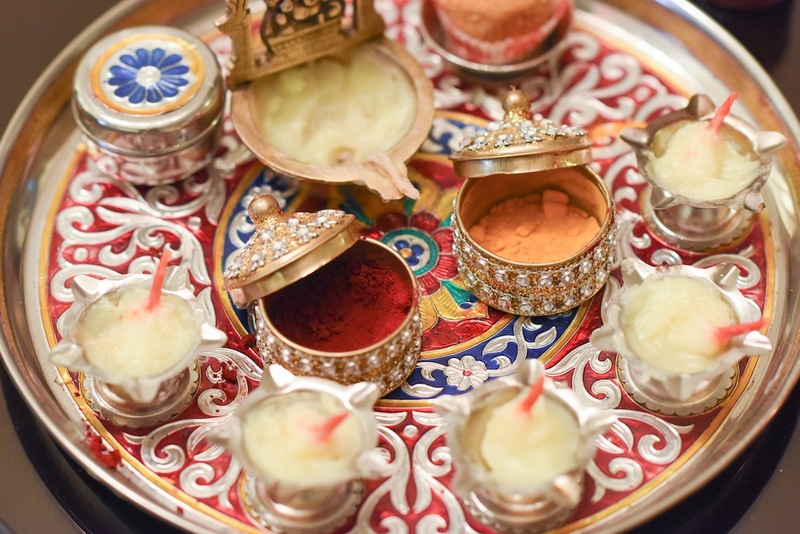 Everything from the gold draped chairs that the guests sat in for dinner to the gold flatware they used to enjoy their traditional Indian cuisine were chosen to help carry out the reoccurring starry night theme. 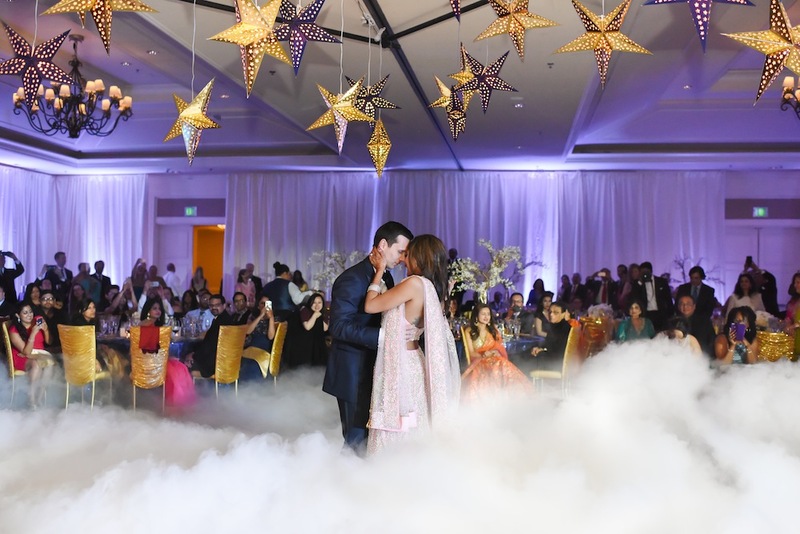 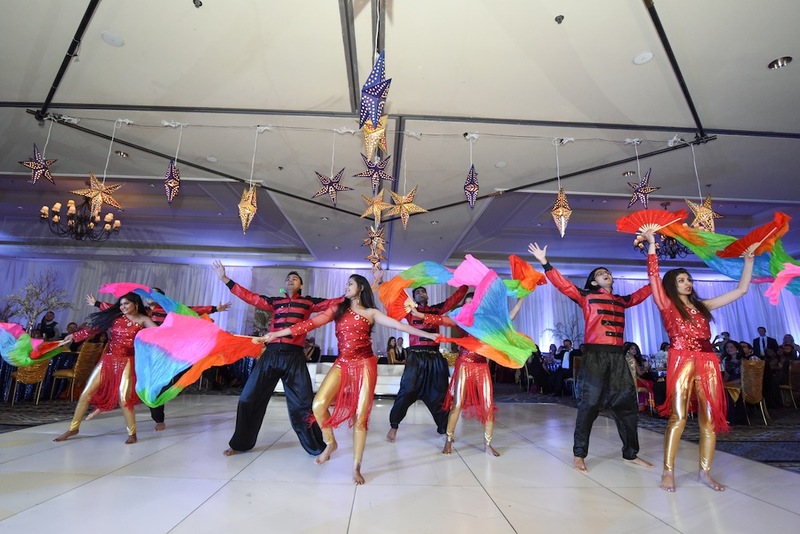 Chuck, Natasha and their guests danced under the twinkling lights of paper star lanterns and were dazzled and swept away by multiple Bollywood dance performances and a fog machine which created a cloud like element of dazzle and beauty.